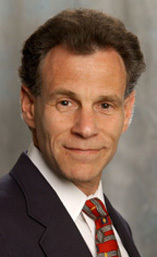 David M. Feldman is co-founder and Senior Partner of SDR Consulting. Dave has provided consulting, research, and advanced modeling services to hundreds of organizations, including many of the world's largest companies and several well-known management and marketing consulting firms. Dave specializes in developing highly actionable marketing insights through his marketing experience and customized application of advanced analytical techniques. Specific areas of expertise are pricing, forecasting, segmentation, brand equity, product positioning, study design and integration of primary research in database applications. Over the past 6 years Mr. Feldman has taken his interest in critical energy issues and co-founded the Center for Citizen's Perspective on Energy Policy, to make his vision of achieving more effective energy policy a reality. Providing research design, analysis and modeling for client making FDA submissions. Developed an outcome based pricing strategy for a major software company. Advised agricultural chemical provider on strategies to maximize their brand equity. Developed pricing and packing strategies for a media company. Advised a non-regulated utility provider in strategies to enhance revenue through expansion of their energy offering. Developed a consumer segmentation strategy for a communications provider with the focus on being easy to understand and implement in the marketplace. Developed a pricing and channel strategy for a non-US CPG company. Dave received his BS in Textile Engineering and his MS in Industrial Management from the Georgia Institute of Technology.